Hi friends! I hope you are having a great day! 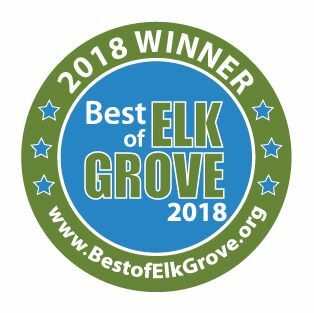 We are doing pretty good. We had a very low-key Valentine's Day. Brady is having his Valentine's party today at school since he only goes M/W/F and Monday was a holiday here. I will post pictures of the stuff I made for him later on. Here's a card I made while I was cropping with my friends last weekend. Wanna know the best part about cropping with your friends? Well, other than spending time with your friends? Using their stuff! ;) I know, I'm horrible! But I get so bored with my own stuff! 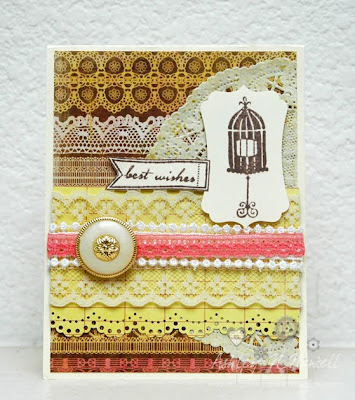 For this card, I borrowed my friend Marie's new Studio G birdcage stamp. Like she bought it and I used it before she even got a chance too. But hey, that's what best friends are for, right? Anyhow, I used a ton of trims, a button and a doily from the Creating is Fun store for this one. I think I'm gonna do a video on how I distress doilies. :D The paper is from Pink Paislee Sweetness and the sentiment is NEW Dear Lizzy Neapolitan. Such a pretty card! I love the lace, stamps, and paper you chose.